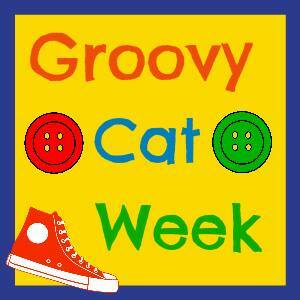 Welcome to day two of Groovy Cat Week! 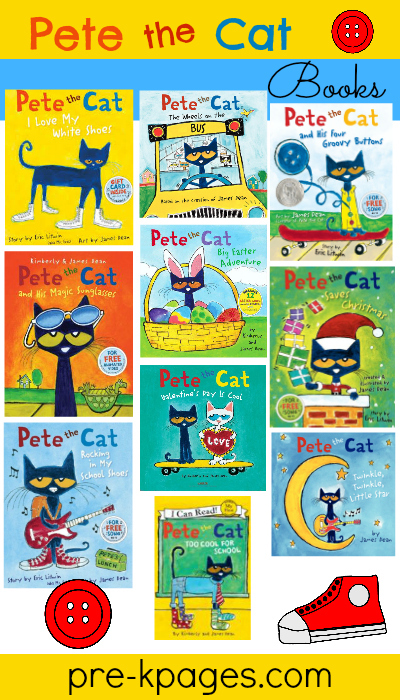 I hope you enjoyed yesterday’s Pete the Cat activities. Today I’ve got a fun literacy game to help your kids learn to identify letter sounds. You may remember my letter sound muncher from a previous post. My kids have always learned so much from our sound muncher games that combining this tried and true activity with their favorite book character is a win-win. First, select your letter sound objects for the game. You don’t need to have the fancy alphabet sound tubs from Lakeshore; you can use simple items from around the classroom like Legos and other manipulatives. Next, introduce the selected objects to your class and ask them to identify all of the items. Then, explain that Pete is only hungry for items that begin with a certain sound today. Have children take turns selecting objects and “feeding” them to Pete to see if he will eat them. The idea is that Pete will only eat the objects that begin with your target sound. 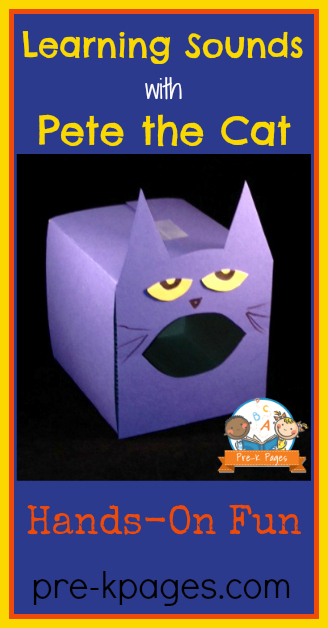 You will need the following materials to make your Pete the Cat Sound Muncher. 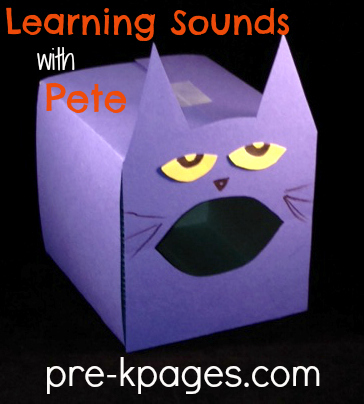 Here’s how to make your own Pete the Cat sound muncher. Check out Kathy Griffin’s Teaching Strategies to see what Groovy Cat ideas she has in store for you today! Pure genius!!! Stuff will come and stuff will go, but Pete will get them in the know! I love your rhyme Brandi 🙂 I’m so glad you like the ideas for teaching with Pete the Cat! My pre-k class loved feeding Pete! They were so excited by this activity that they started bringing in Kleenex boxes so they can make their own Pete. I’ll send the completed Pete home with directions/suggested activities parents could use at home with their child. We plan to feed Pete words from the “at” or “op” family as we wrap our Dr. Seuss unit this week. Thanks for the inspiration! Hi Jennifer, thanks so much for sharing your story, I just love it! I’m so glad this activity inspired your students and what a great idea to involve the parents too! We loved Pete the Cat when we were learning our sounds. This is such a fun craft to help with word sounds!